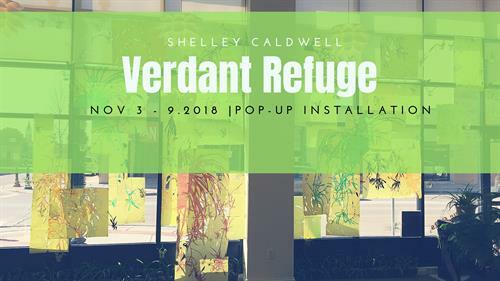 Installation artist, Shelley Caldwell will be creating an ephemeral window installation on view Nov 3 – 9. Shelley has been invited to take over the windows of the Art Center. The art installation will be on view inside the gallery during regular business hours and 24 hours a day from outside the building. In conjunction with the project we will host an artist reception and PLANT swap event November 9th from 6 – 7pm. Experience the installation from the inside and out. meet the artist and Bring clippings from your favorite house plants to trade with other botanical enthusiasts. © 2019 Hutchinson Area Chamber of Commerce and Tourism.